Yoga with Sasha would not have happened if not for a chance meeting in a diver's cafe over dinner in Dumaguete, Philippines with Nichole and Michael Kerle a year ago when I was scuba diving with a good friend, Metz. 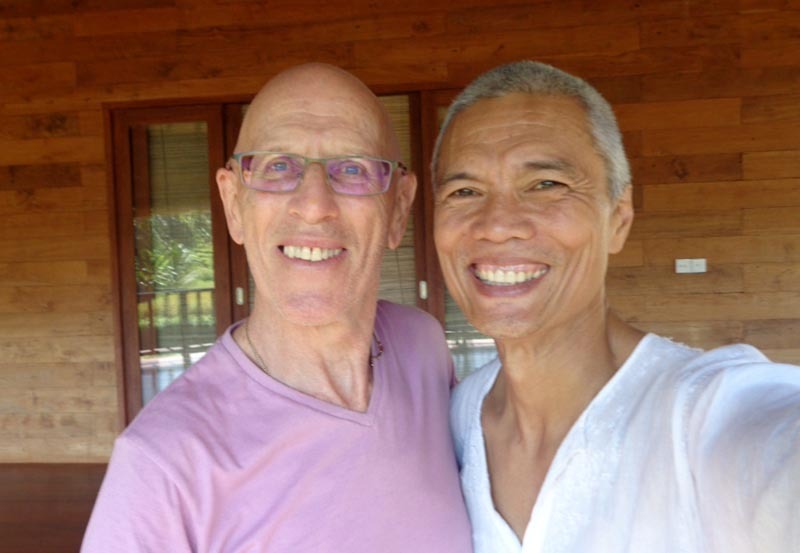 The 4 of us got into a conversation, and somehow talk drifted into Bali and yoga with a wonderful yogi named Sasha. Although Bali was not even on my radar then, I took down mental notes. Lo and behold, fast-forward to now, I am in Ubud, Bali! 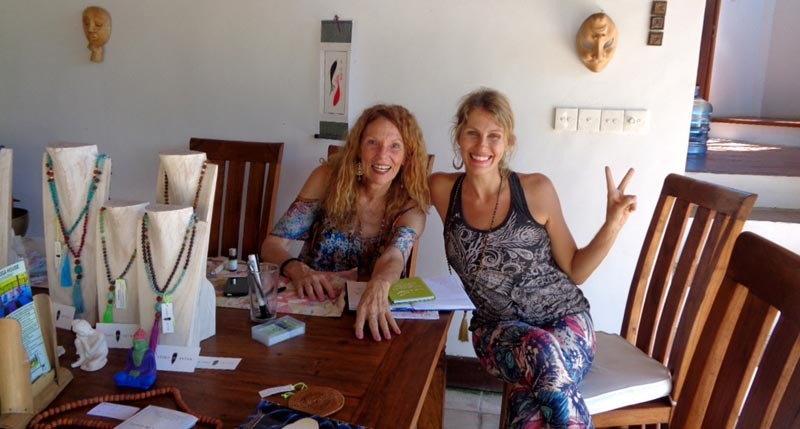 Nichole PMs me in Facebook connecting me again to the wonderful yogini of Ubud - Sasha. What followed was yogic asanas in the beautiful enclave surrounding Ubud Yoga House - terraced rice paddies and wide open expanse in a community of yogis who came to deepen their practice. At first introduction, Sasha's reassuring smile shines through. She has a gentle firmness about her and exuded a wealth of yoga experience on her belt. In the last 1.5 decades, she's had a long string of involvement in upscale spas stretching from California to Boston. She's registered with Yoga Alliance with professional competency in Vinyasa Flow and Ashtanga. She now resides in Ubud with her partner and 2 lovely daughters, Solana and Nya. It was a mixed group - beginners, advanced, young, somewhat elderly (no, not me! he-he) and couples. Just like any responsible yoga teacher, Sasha had to find an optimum level for the class that accommodated everyone. It was a flow Vinyasa with some challenging balancing poses, some of them unique. Her cuing is thought-through and slow-paced, allowing us to sink deep into the pose before the next transition. She integrates theory and a little life-coaching as we held the poses. Unlike some yoga teachers who package themselves as the end-all of yoga, Sasha makes it as human as it gets - talking about her challenges, what she can't do after just giving birth, etc. Aptly, she uses the word 'guide' instead of 'teach'. 'Guide' is something I would probably reuse in my own classes as I was never comfortable using the word 'teacher'. Perhaps if I am taking ownership of a person's yogic development over the long term, I can use the work 'teacher'. However, if I'm just conducting a yoga class to yogis who will come and go, the word 'teaching' seems too loaded. I haven't done serious yoga since Penang (Malaysia) and that was a month ago. Add consumption of deep-fried food, a popular cooking style in Indonesia, and I had the recipe for a yoga-struggle. Sasha's class purged the toxins out of my system like wringing a wet towel. I remember back in Cebu when I was doing yoga twice a day everyday...sometimes 3 classes a day - I felt the strength of a raging locomotive. Now, at Sasha's class, I felt my weakness - what should have been an easy hold or an easy balance was left on shaky legs and breath-catching gasps for air. Fortunately, I also know that with just a few regular sessions, I'll be back in shape. 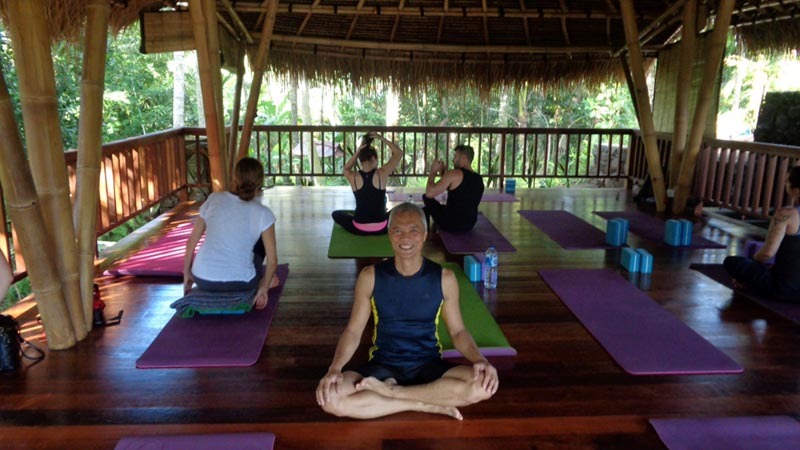 Sasha's yoga at Ubud Yoga House is one of many different yoga studios in Ubud adding choice to the myriad of yoga practitioners looking for a teacher or a studio they can resonate with. If you are still unsure where to take your practice, give this studio a try. Sasha's classes are never the same as they are always tailor-fitted to the students' level and common denominator. The studio setting alone is already worth a visit. Thank you so much Sasha for allowing me to be a part of your awesome class and for introducing me to the wonderful people who share your space - Shiela and Greg. Thank you Nichole for connecting me and Sasha - miss you and Michael! (July 8, 2016) Truly a warrior! (July 8, 2016) My heart is so happy and full that you two met and practiced together. A GUIDE, I took that away as well. Love Sasha M. Lang and her family so very much. Yay, yay, YAY! Hopefully, we shall cross paths again, Gigit. ((July 8, 2016) This is why Nichole and I love traveling. Yes, seeing new places is exciting, but it is really about the people. If you take a moment to read this you will get some idea about just how fascinating the people we meet really are. Gigit Sulit is one of the most wonderful people I have had the pleasure to meet. The universe saw fit for him to cross paths with another fascinating person we met Sasha M. Lang. He describes her perfectly in this article, she really is another amazing soul. 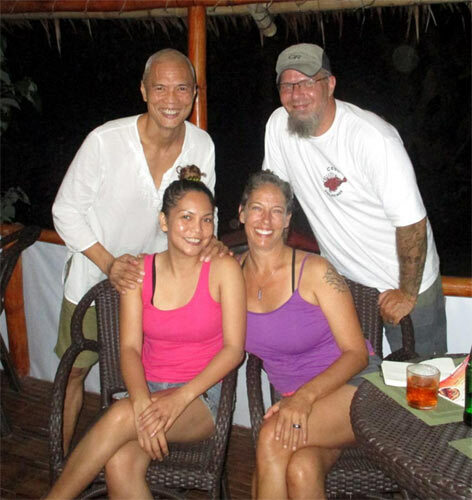 So neat that an amazing person we met in the Philippines got to meet an incredible person we met in Bali. What an amazing world we live in.